West London Business strategic partner, The Latvian – British Chamber of Commerce, is organising their first Baltic IT & Municipalities trade mission “Innovation, Finance and Future Cities Technology” bringing together fast growing IT companies and municipality leaders from three Baltic countries (Latvia, Lithuania and Estonia) – in order to create new international trade partnerships and exchange of new ideas. This is a 2 day trade mission to London and Bristol. Please find the agenda attached. On the first day in London – which will be of particular interest to West London Business members – they are bringing together a range of speakers and entrepreneurs from across the digital business world; from Mr Tim Moss CBE, Chief Executive, Companies House to the entrepreneur and philantropist Mr Michael Tobin OBE. Their hosting partners Bell Pottinger, Royal Bank of Scotland Group and West of England LEP will run round table discussions about the various opportunities and challenges for IT companies within Innovation, Finance and Future Cities Technology. There are 10 tickets available to WLB members on a first come first served basis. 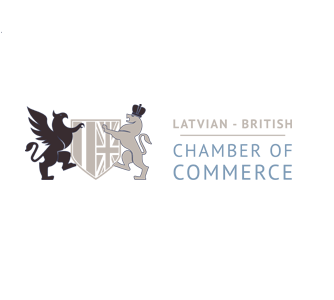 The 2 day event will be a great opportunity to get practical tips and advice for growing businesses internationally, and developing relationships with the Baltic delegates. The participation fee is just £150 for a one day (September 27th or 28th) or £200 for the full 2 days (September 27th and 28th) per individual. Email Marcis Liors Skadmanis marcis.skadmanis@latvianchamber.co.uk to book and with any queries.